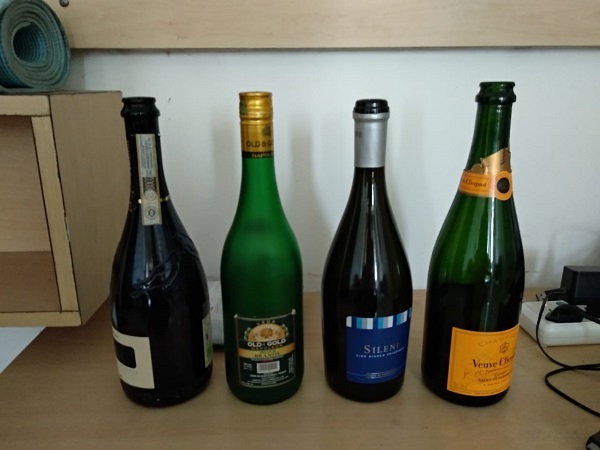 I am sure some of us hoard bottles at home for the sheer beauty of their color, texture, shape and even for the sake of the brand they represent. I have known people who have bar cabinets that house many empty bottles for the charm they bring to the decor of the dining space. Much like the cutlery sets and those beautiful plates, dishes and cups that adorn the crockery shelves in our homes. 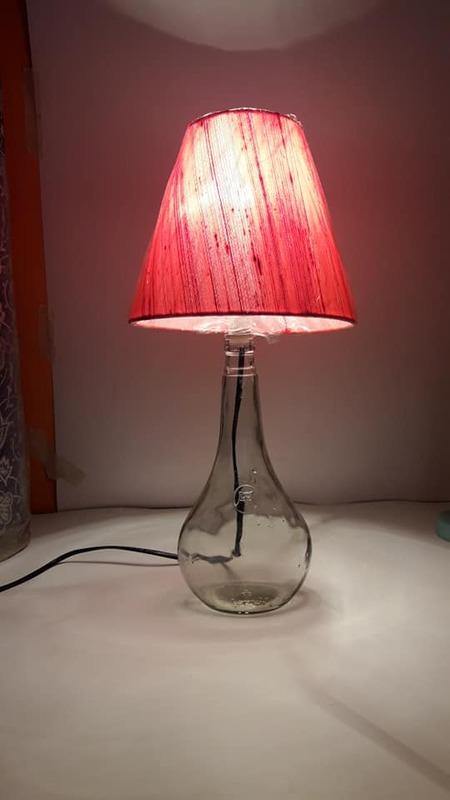 Are you one of those that collects bottles and is looking to show them off by giving them a functional use ? Look no further. 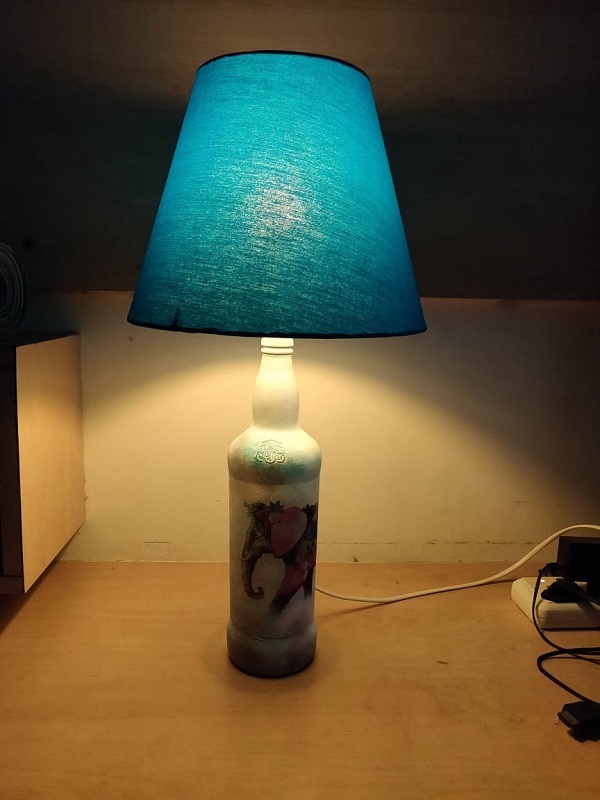 We at Woodooz are introducing the bottle lampshades / table lamps that look exclusive and different. We have the following three categories to cater to variety, yourvarying needs and different price points. 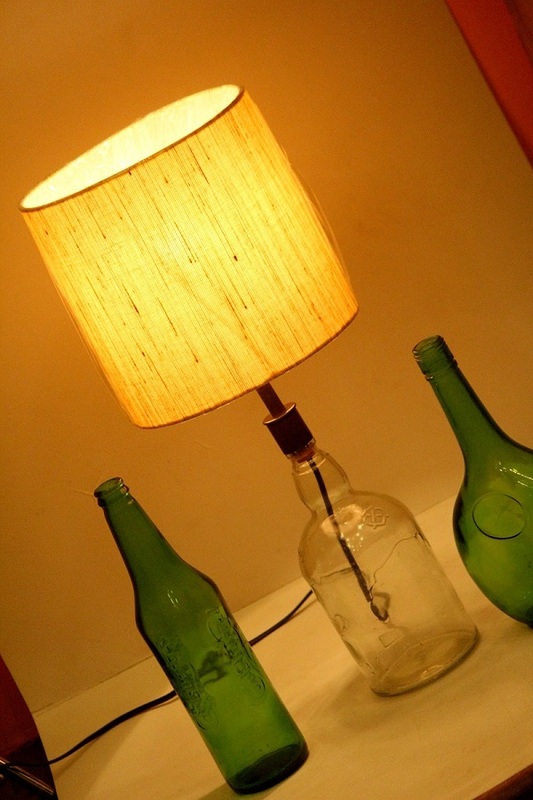 Do you want to convert your bottles into a piece of art and then make them into a lampshade ? 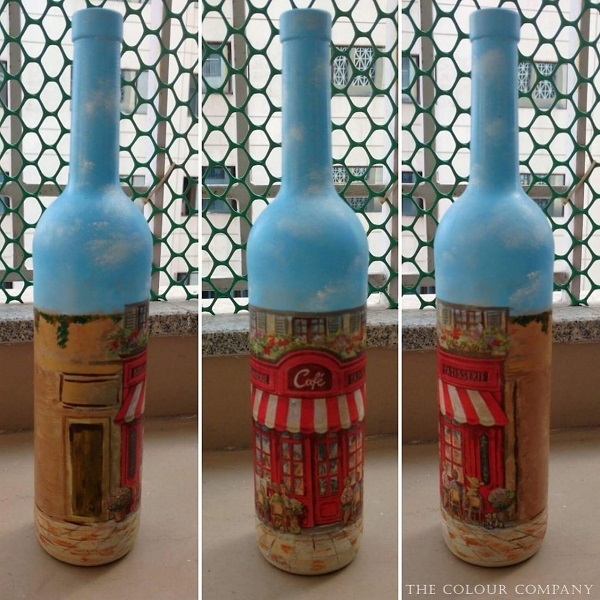 Continue reading to know how we have collaborated with The Colour Company, India to bring to you gorgeous decoupaged bottle table lamps. We can add that beauty to your bottles too. Price varies depending on the level of custom art required. This option is currently available for walk ins only. 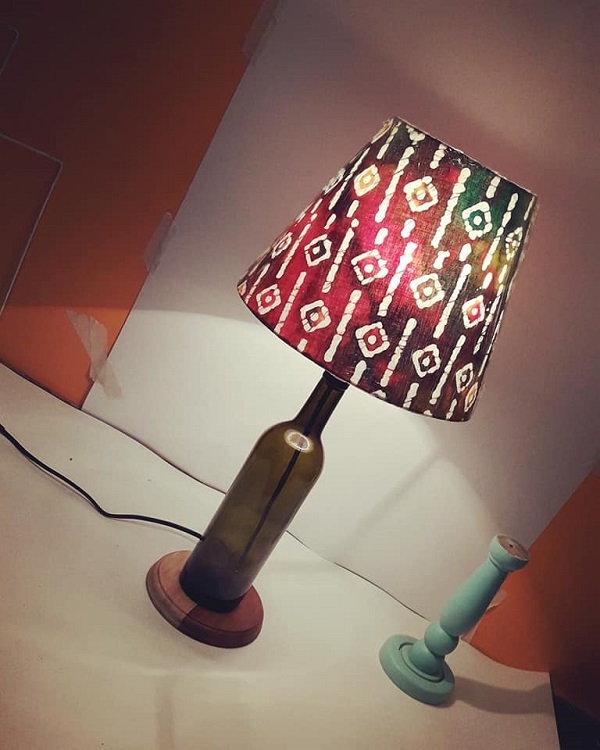 Walk in to our store and pick a bottle lampshade of your choice. 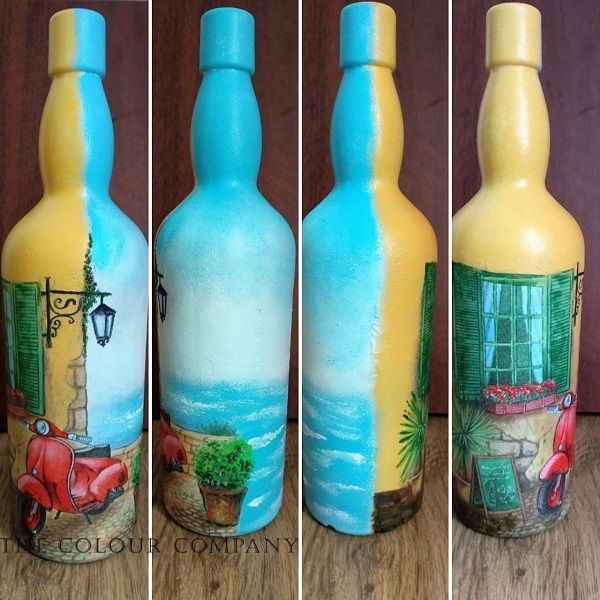 These bottles would be plain or painted with minimal work on them. Just the one for those that go wow with minimalism. 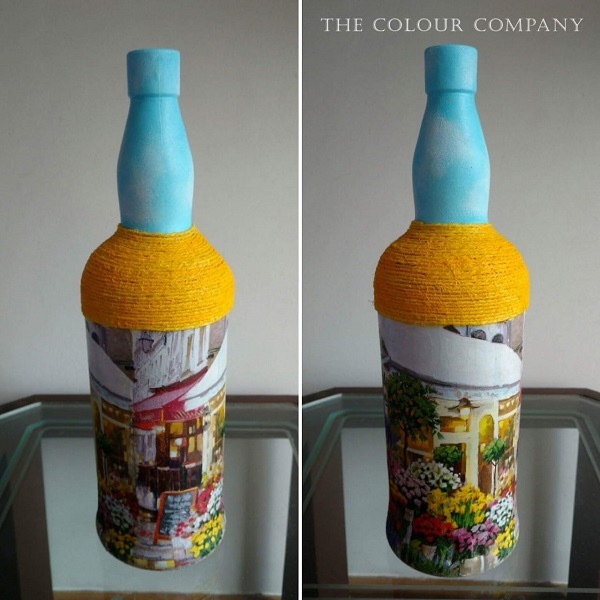 Here’s where we introduce you to the amazingly talented Aarti Sivaram of The Colour Company, India who is an artist / crafter and an expert in the art of decoupage. She has extensive experience in training interested artists in decoupage (Do check out her Facebook page for Workshop details) which is a unique craft by itself. We are collaborating with her to bring to you the best of The Colour Company and Woodooz Home Decor. 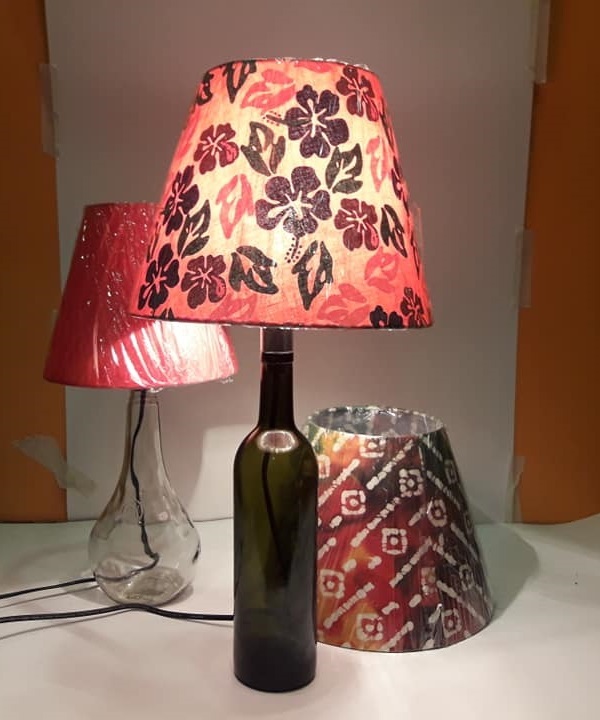 Announcing and getting things rolling with the first of our decoupaged bottle lampshades. Price starts at Rs. 2000. Here’s one that is available for purchase.All images below are by courtesy from The color company, India. And the rest below are some of the options you can choose from. Do know that we do this only on pre-orders and will take a minimum of 10-14 days to deliver a product. Currently offering this for customers in Chennai. So, let us know what you think of the new product range. 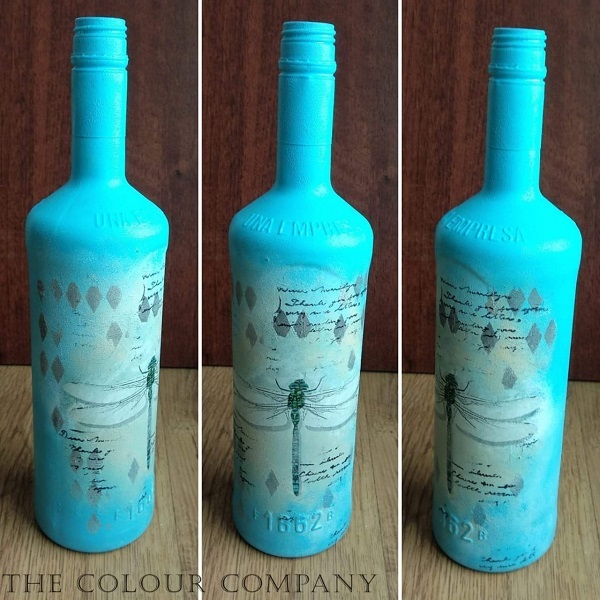 Want to hold on to the next bottle that you emptyand want to see it transform into a beautiful lampshade ? Contact us.